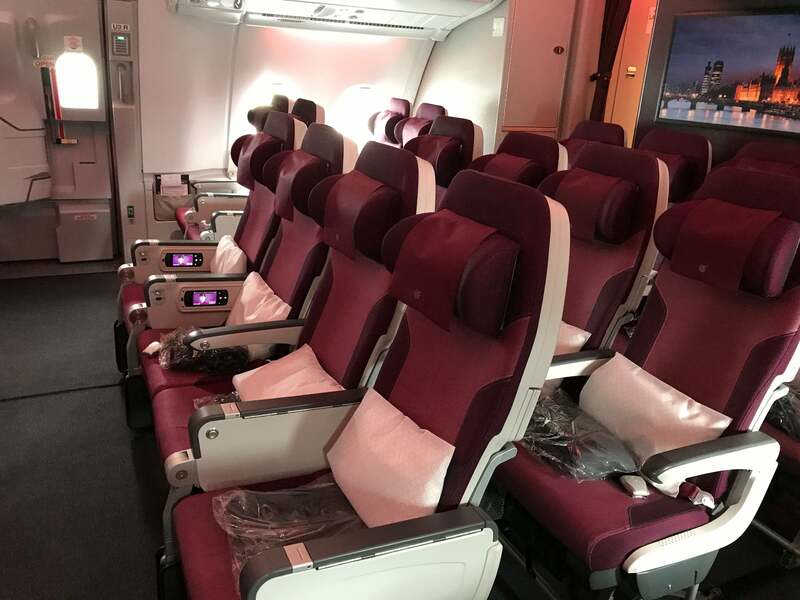 Amid the ongoing political rift between Qatar and several other Middle Eastern nations, it was fascinating to see an A380 I took from London (LHR) to Doha (DOH) so quiet, with most of the main deck being empty and a very light load on the upper deck as well. With this in mind, I’m hopped on a short flight from Doha (DOH) to Larnaca (LCA), Cyprus, before returning to Doha, in order to see firsthand what it’s like to fly on a route directly affected by the airspace closures. 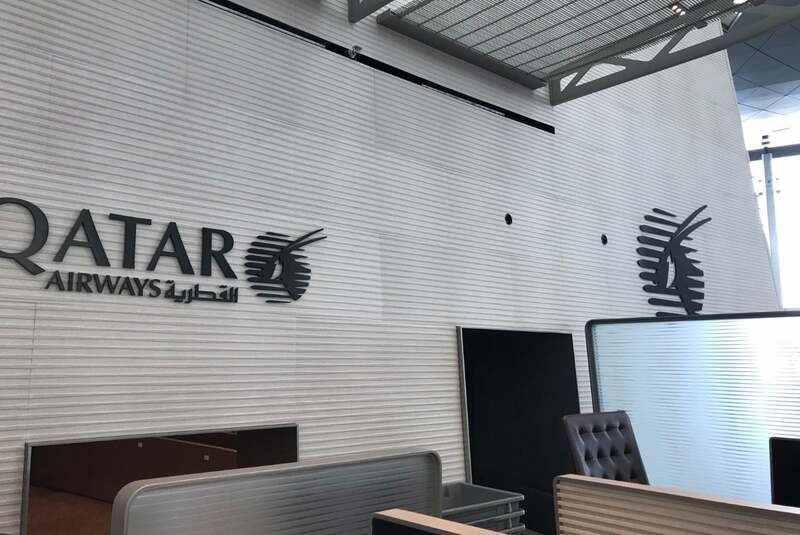 Until recently, flights to Larnaca used Saudi Arabian and Jordanian airspace, which are currently considered to be “no fly zones” for Qatari-registered aircraft. 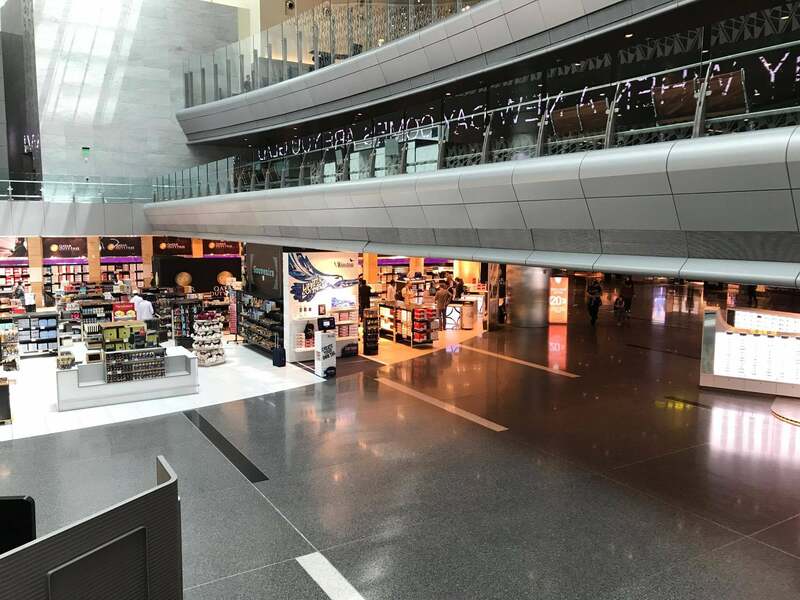 Upon my arrival in Doha (after my A380 flight from London), I was amazed at how the airport was absolutely deserted. There was not a single soul, aside from the passengers from my flight and some staff members, likely due to the political crisis and recent airspace closures. 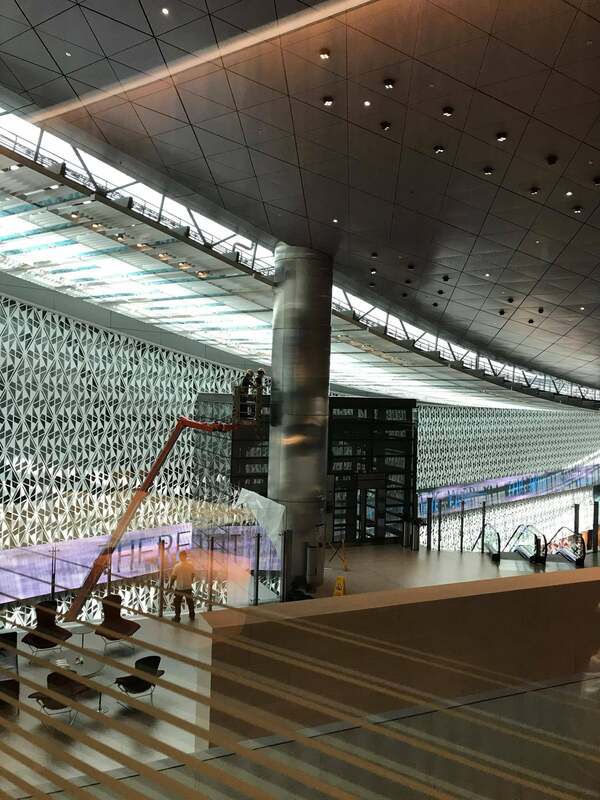 Entering the terminal via Door 1 — used by Qatar Airways’ first- and business-class passengers — you could hear a pin drop. 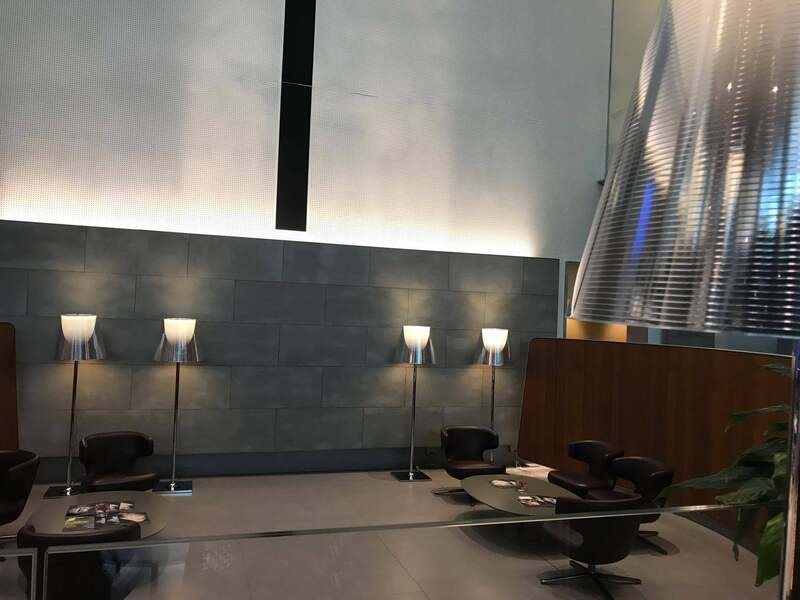 I was escorted to a check-in desk, where about 15 agents were waiting to assist passengers. Within minutes, the agent prepared by boarding pass and informed me that the flight was on time. I asked him if things were abnormally quiet and he simply said, “Well, you can imagine.” The situation is definitely something that nobody is willing to bring up, but one that everybody is very aware of. So far, it’s been the “elephant in the room” during all of my conversations with airport staff, hotel staff and local taxi drivers. 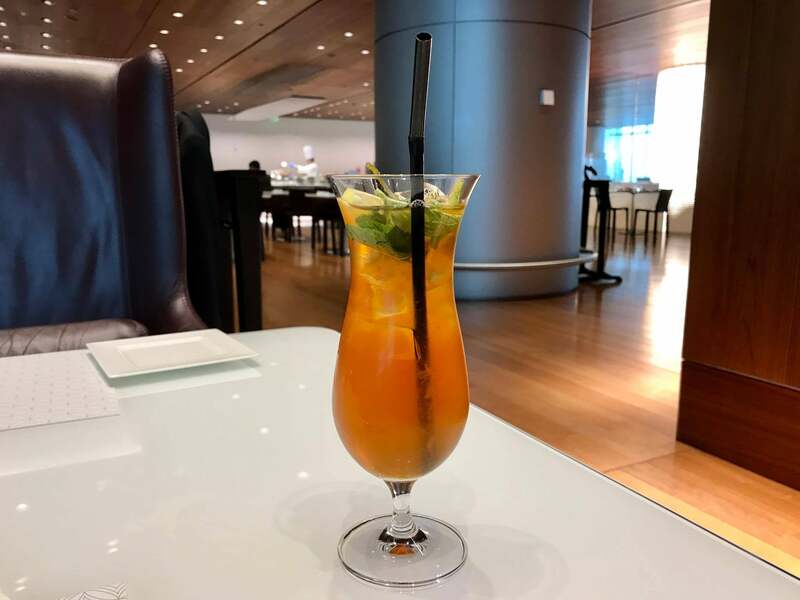 I selected business-class seat 1A for this flight, and after being handed my boarding pass, I walked through the quiet concourse toward security. 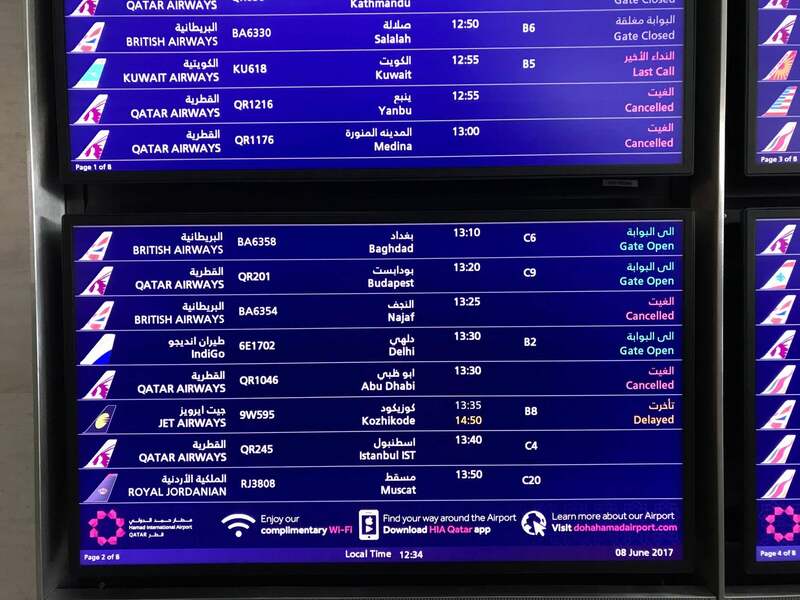 …and counted cancellation after cancellation for important Qatar Airways routes such as Doha (DOH) to Abu Dhabi (AUH) as well as Medina (MED) and Jeddah (JED) in Saudi Arabia. 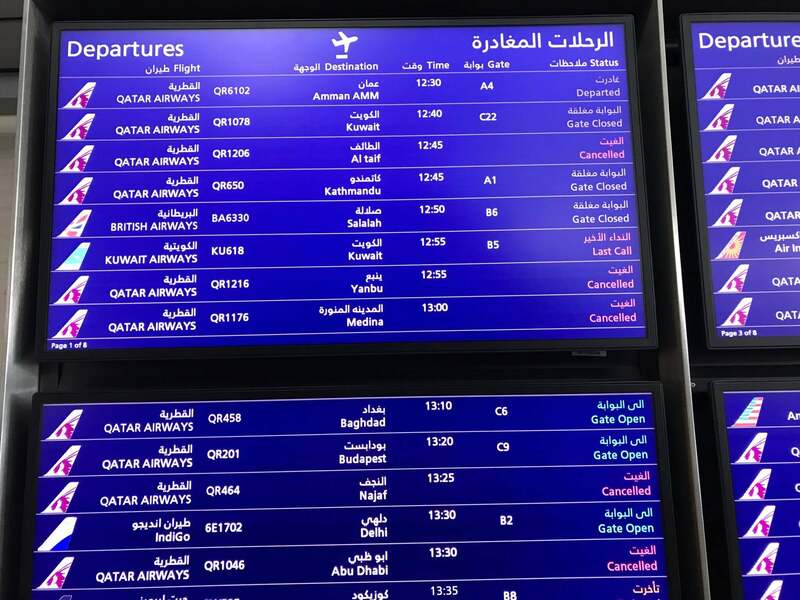 I’m not sure why these flights were even displayed, given that the ban to Qatari transport and nationals entering countries like Saudi Arabia had been in place for several days at this point. 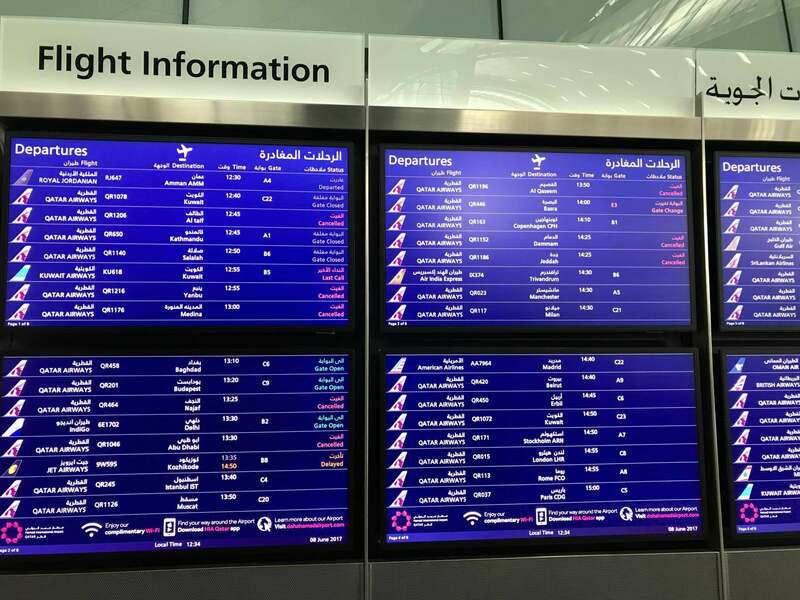 Furthermore, flights to Dubai (DXB) were not displayed at all. 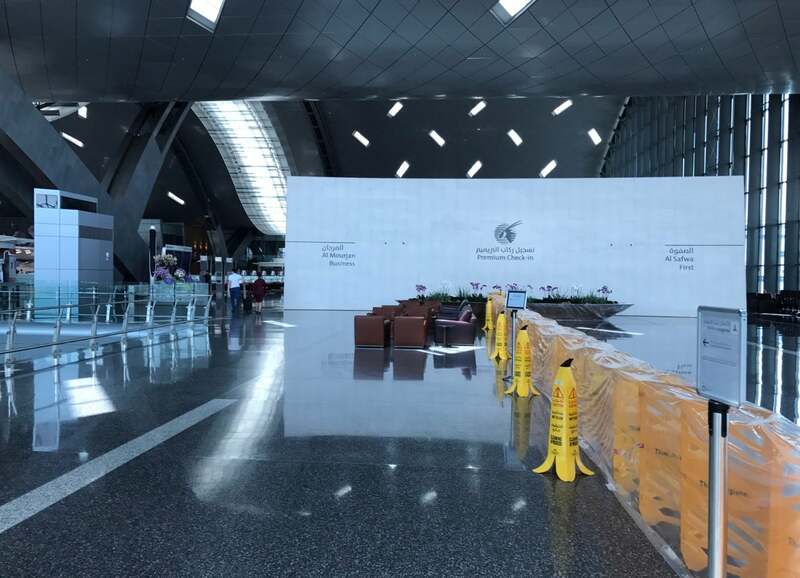 When I approached security, it became apparent just how empty this airport had suddenly become — again, while I’m not putting the entire cause of emptiness down to the Qatari political rift, I’ve never seen the terminal there this quiet before. The security machines were off and staff only turned them back on when they saw me approaching. 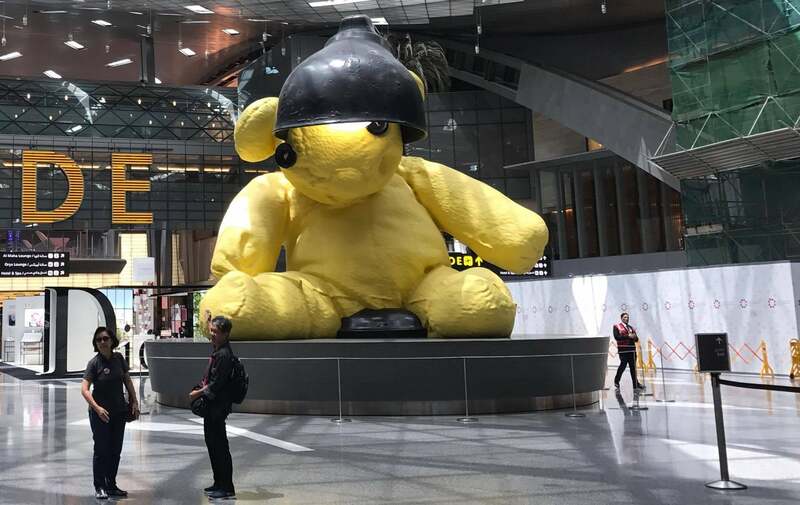 The famous (and creepy) giant teddy bear of DOH looked a little lonely today, with just a couple of passengers from the Philippines posing for a photo. Ordinarily, there would be multiple passengers taking selfies in this spot. As it was when I’d arrived a few nights ago, the duty free shopping areas were deserted. 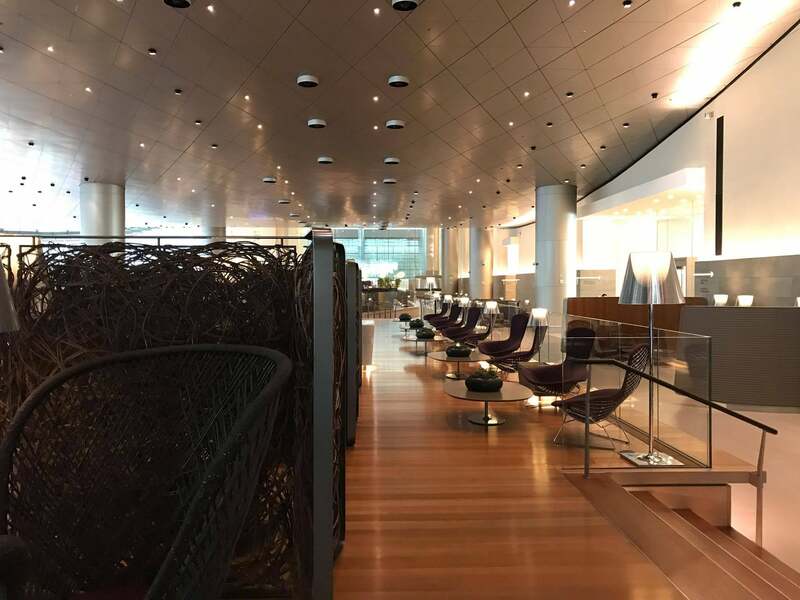 Here’s where I really started to question if I was the only person flying from Doha. 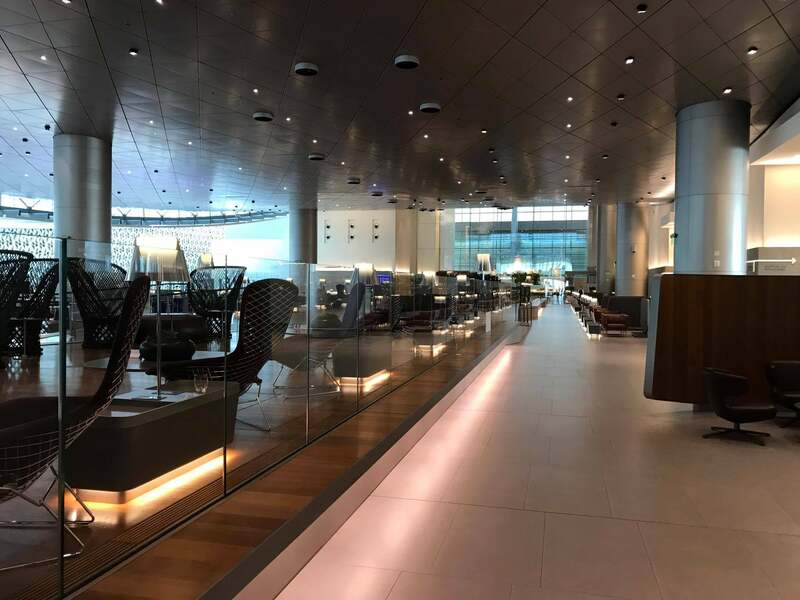 You’ve seen Qatar’s stunning Al Mourjan Business Class Lounge in other posts on this site, but let’s take a look what it was like this week when I stopped by. 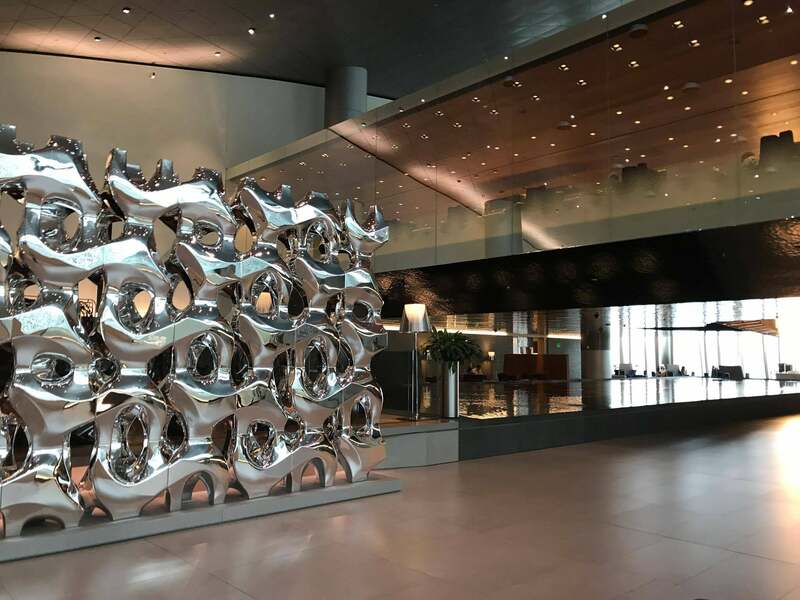 The only sounds came from the water feature in the middle of the upper section of the lounge. It even got to a point where I began to look for other passengers, but all I could find were some staff. 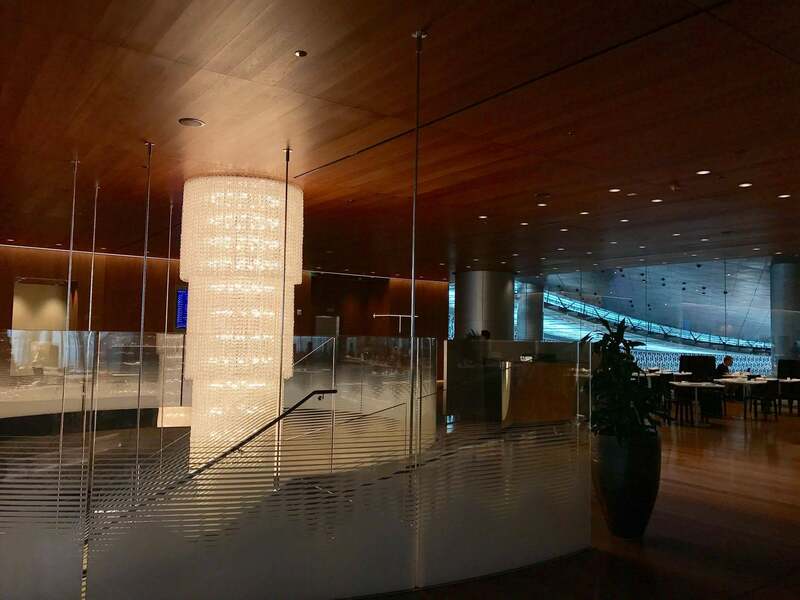 I then explored all avenues of the lounge — no signs of life! Upstairs in the restaurant, there were two other passengers eating, but aside from them, it was completely empty. I headed to the bar and ordered an iced tea. The bartender there looked pleased to have been given an order, saying he would make me a fresh one from scratch rather than give me the bottled iced tea, which was fine by me — it was incredibly delicious and ended up looking like a cocktail. 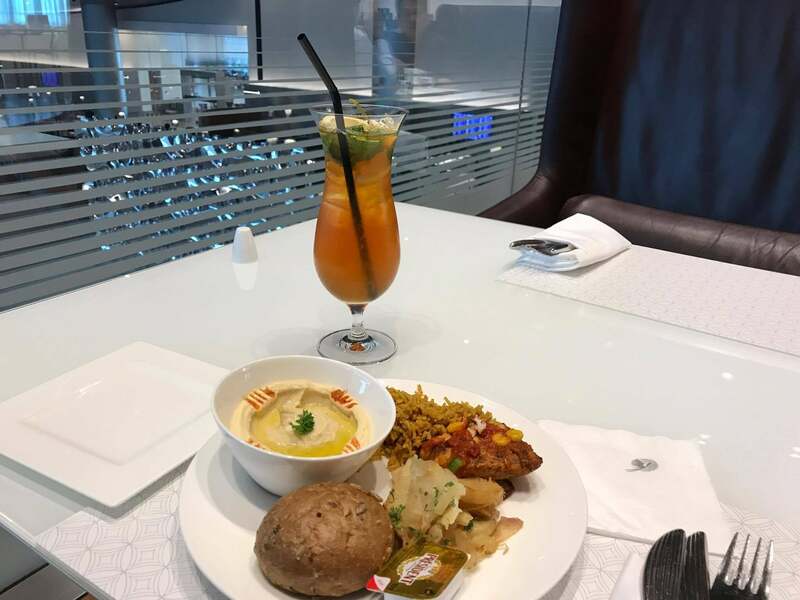 Next, I visited the buffet and chose hummus, chicken, rice and potatoes, then headed to the window seats. It’s not surprising how spotless the terminal really is when you’ve got workers like these guys up there on a mini-crane, hand-wiping the huge cylinders that supported the structure of the terminal. 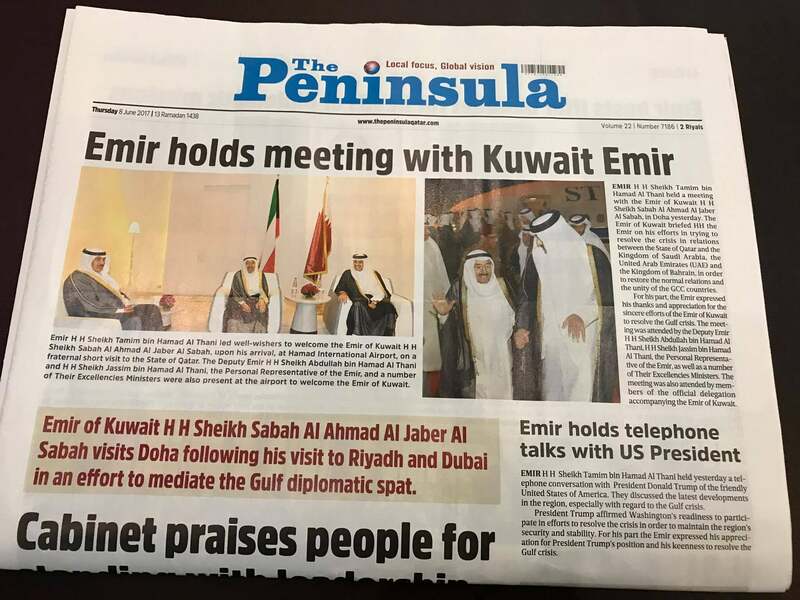 I picked up a local English-language newspaper, The Peninsula, and naturally, the front page spoke of potential resolution talks between the Qatari Emir and the Kuwaiti Emir. Having still not really seen any other real-life passengers, I was very keen to head to the gate once it opened and fly from such an incredibly deserted airport. 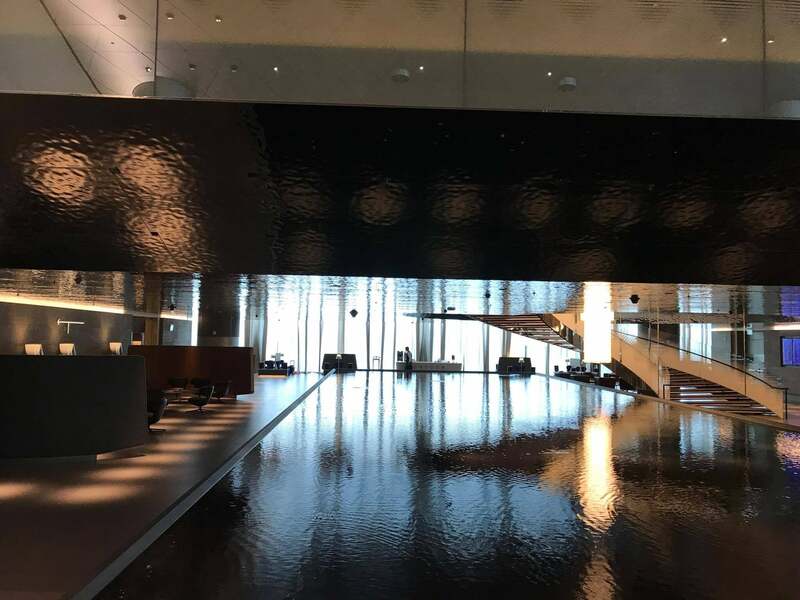 Stay tuned for my next post, where I’ll share all the details from my flight from Doha to Lanarca, Cyprus, which included a special detour brought to you by the airspace closures.